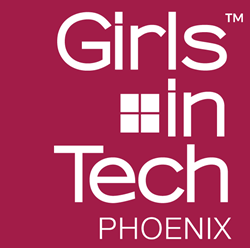 Girls in Tech, an organization focused on the empowerment, entrepreneurship, engagement, and education of women in technology, is launching its Phoenix Chapter with a special event on June 15, 2017. As a female business owner, I see the challenges women face as they venture into entrepreneurship. It’s critical to have organizations like Girls in Tech supporting, educating and empowering women from the classroom through their professional careers. Prism Global Marketing Solutions, a woman-owned inbound marketing agency and HubSpot Platinum Partner, is excited to announce their involvement in the Girls in Tech Phoenix Chapter and sponsorship of the launch event happening on Thursday, June 15, 2017. Girls in Tech, an organization focused on the empowerment, entrepreneurship, engagement, and education of women in technology, is launching its Phoenix Chapter with a special screening of the film, “She Started It.” This film explores the cultural roots of female underrepresentation in entrepreneurship—including pervasive self-doubt, fear of failure, and risk aversion among young women. It also exposes the structural realities women face as they become entrepreneurs, including lack of female role models and investors, and the persistent dearth of venture capital funding made available to women-led companies. “We are honored to be involved with Girls in Tech Phoenix and the launch event to support such a wonderful organization helping young women in our community understand and expand their potential as future leaders in technology. As a female business owner, I see the challenges women face as they consider and venture into entrepreneurship. It’s critical to have organizations like Girls in Tech supporting, educating and empowering women from the classroom through their professional careers,” says Elyse Flynn Meyer, Founder and Owner of Prism Global Marketing Solutions. “It’s imperative we show the future workforce what’s possible in the world of science, technology, engineering, and math – fields which are woefully underrepresented by women,” said Melissa Drake, Career and Technical Educator, former engineer and co-managing director, Girls in Tech Phoenix Chapter. Register to secure your spot for this event. Created in February 2007, Girls in Tech was founded by Adriana Gascoigne, and was born out of a need to provide a place for women to cultivate ideas around their careers and business concepts involving technology and entrepreneurship. Girls in Tech is headquartered in San Francisco, CA and has multiple chapters around the world, including North America, Asia-Pacific, Europe, the Middle East, Africa and South America. For more information on the Phoenix Chapter, visit phoenix.girlsintech.org.